The UK Prop/Fin Tech scene was impressed by the very quick crowdfunding of online bank Monzo. Raising £1m in 96 seconds would make any VC firm feel slightly impotent. VC’s made up for this across the pond with Fifth Wall forking out almost £117M on US-based Prop Tech companies. Back in the UK, for the all the hype around online estate agents there was a sharp reminder of how far the industry has to go before we start seeing significant number investment similar to the US market. Although online agent’s market share grew by 58% in the last year, it still only accounts for 4.38% of the market indicating there is still a long way to go before online agents become real competition to traditional estate agents. In other Prop Tech news in a somewhat sudden move, Property Moose announced that had suspended its secondary market. (Secondary markets allowed investors to sell their positions purchased via the platform to other users) This will no doubt upset investors as it dramatically reduces the flexibility of their investment with platform forcing them to be locked in for more extended periods of time. In property price news Right Move reported that London property market moved out of boom phase. Overvalued assets might be one cause of this, Zoopla produced a report combining the value of all residential property in Britain’s top 10 largest cities found that London’s property market is worth twice the combined value of the nine other largest UK cities, a clear sign of possible overheating in the past. This wobbly market has already caught out Capco knocking a £131M off the value of its Earls Court development. Brickowner believes more will follow as developers revalue their schemes in central London. 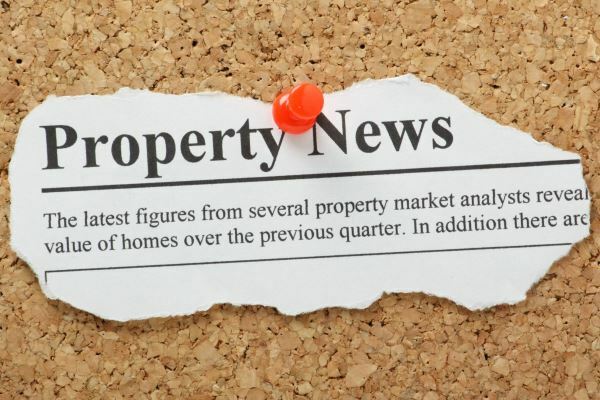 In better news, according to UK Cities House Price Index, Hometrack regional property prices set to surge and start to close the gap on London presenting fresh opportunities for property investors looking further afield. The end of buy to let the traditional property investment strategy has started picking up the pace. Many landlords will face re-mortgaging issues over 2018, this could lead to a sales stampede as 1 in 5 looks to sell possibly helping to continue and expand the flat property prices currently being experienced in London to other areas of the country. Maybe if Buy to Let landlords are looking to get out of their investments, they should look to market their property on March 17th. According to Emoov this the best day to put your home on the market to fall in line with the highest period of completions in June taking into consideration an average of 111 days on the market to sell.